Trex RainEscape allows you to better utilize the space under your deck. 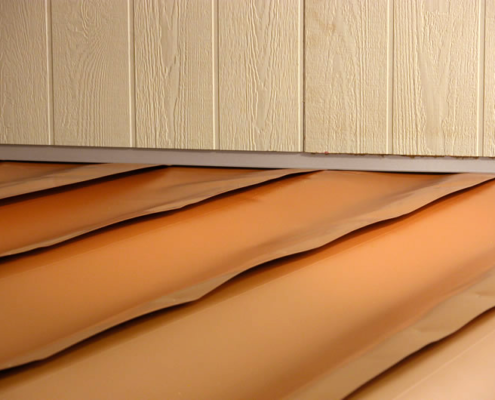 It keeps the space dry, protecting it from rain, melting snow, even water you use to clean off your deck. You can create outdoor spaces you never thought possible. With RainEscape, you can now install TVs, speakers, ceiling fans and more without worry. A unique under-deck drainage system–a network of troughs and gutters–keeps rain, spills and snow melt from dripping through elevated deck boards, creating a dry patio area on the ground level below. Trex RainEscape comes with simple installation guides and will only take an hour or two to complete the project. 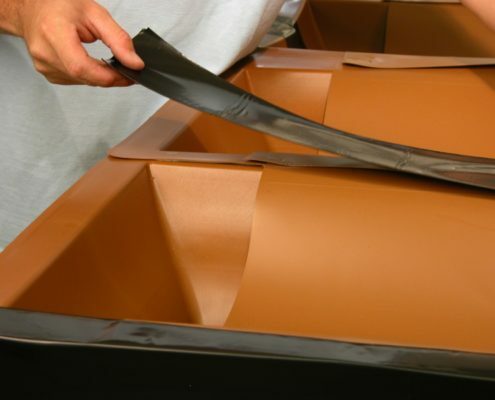 Installing it while your building your new deck is easy! 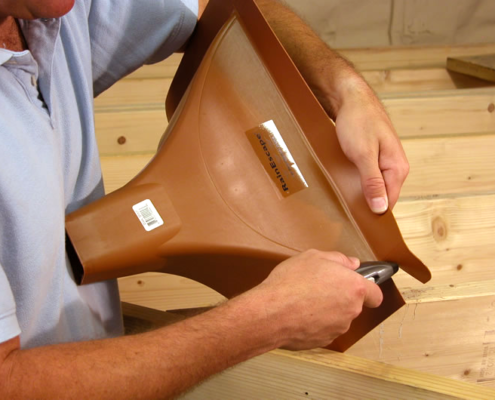 If your deck has already been completed, you’ll need to remove the decking boards to install RainEscape.